Two Trappers are found outside of Fort Greenwall near a caged wolf. Freeing the wolf will cause them to attack you, though the wolf will join you against them. 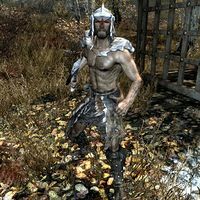 The first (base ID: 000D1686) wears leveled light armor with leveled light boots, plus a 50% chance of a leveled light helmet (all up to scaled quality), and carries a steel war axe, an iron dagger, and at least 26 gold. The other (base ID: 000D1685) wears hide armor, gloves, a pair of farm boots (four variants), plus a 50% chance of a hat (three variants). 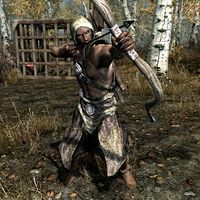 This trapper carries a leveled dagger (up to elven quality), either a hunting bow or long bow, at least seven iron arrows, five pieces of raw meat, a selection of lower-class items and gold, and 3-27 additional gold. There is also a chance of up to five animal parts. This page was last modified on 5 September 2014, at 04:28.